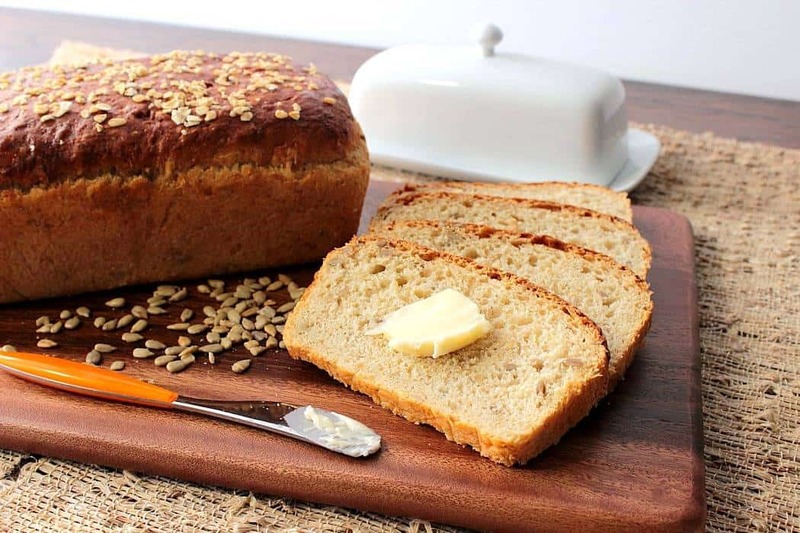 If you’re looking for a homemade bread with a lot of body, and a touch of sweetness, then this Oatmeal Honey Bread with Sunflower Seeds is just the ticket! 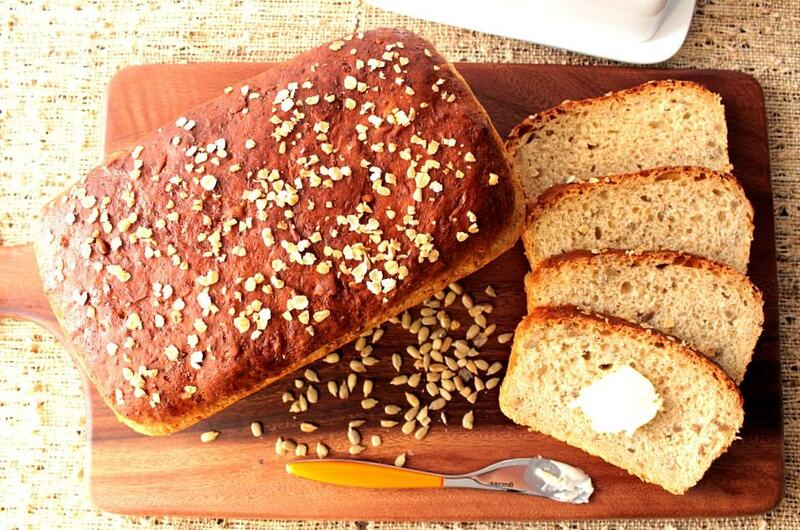 Making homemade bread may be easier than you think. With nothing more than a few bowls, a few simple ingredients, a few minutes of stirring and kneading, and a few hours set aside for the dough to rise, this bread can be on your dinner table tonight. So you’d better get ready for more than just a few compliments! What I love about this bread (besides the taste) is the texture. It’s firm enough to be sliced thin for sandwiches, and it’s hearty flavor lends itself to be dipped and dunked in soups and sauces. It will hold its own when it comes to standing up against big, bold flavors. It’s by far one of our family’s favorite breads, and I know it will become one of yours too. 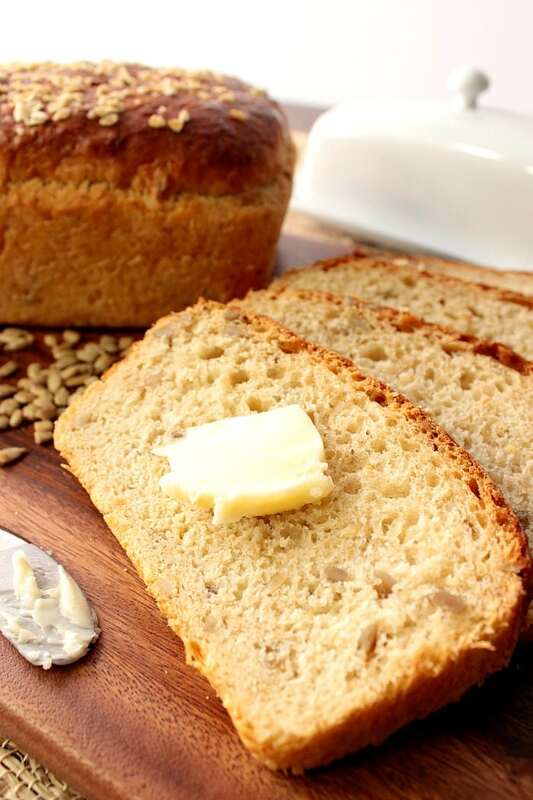 A hearty homemade yeast bread that has a touch of sweetness. 2 loaf pans 9" x 5"
Place the oats and ½ cup honey in a large bowl. Stir in the boiling water until the honey dissolves. Add the butter and salt into the honey/oat mixture and allow to sit for 30 minutes. Meanwhile dissolve the yeast in a small bowl. Add the granulated sugar. Allow the yeast to sit and get foamy (approximately 5 minutes). Stir the yeast mixture into the oat mixture. Add 2 cups of all-purpose flour to the oat mixture and stir well to combine. Stir in an additional 2-3 cups of flour until the mixture becomes thick and sticky. 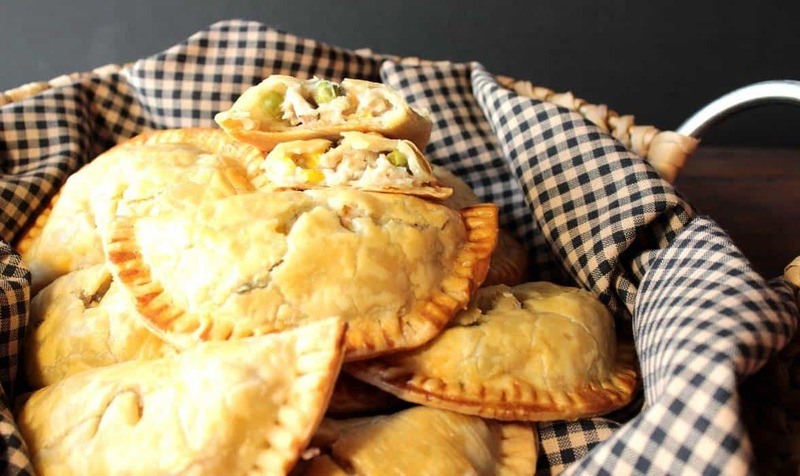 Sprinkle the sunflower seeds on top of the dough along with an approximate ½ cup of flour. Knead the dough by hand until it becomes soft and no longer sticky, adding additional flour as needed. Place the dough into a large bowl that has been sprayed with cooking spray. Cover the bowl with plastic wrap and allow the dough to rise in a warm, draft free place for approximately 1 hour (or until doubled in size). Prepare the loaf pans by spraying with cooking spray. Turn the dough out onto a lightly floured surface. Divide the dough equally in half. Press each half evenly into the prepared loaf pans. Allow the loaves to rise again for approximately 1 hour. Bake the loaves in a preheated oven for 30-35 minutes or until golden in color and sounds hollow when tapped. Place the loaves on a cooling rack and allow to cool for 15 minutes. 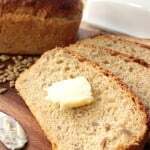 Turn the dough out from the pans and brush the tops of each loaf liberally with honey, and a light sprinkling of oats. The amount of kneading flour required after turning the dough out will depend a lot on the amount of humidity in the air on any given day. Making sure to knead in enough flour so the dough is soft, smooth, and no longer sticky is what you're looking for as far as texture. Baking homemade bread is one of the most satisfying things I do in my Kudos Kitchen. It’s like a giant hug when the smell wafts through the house as it bakes. 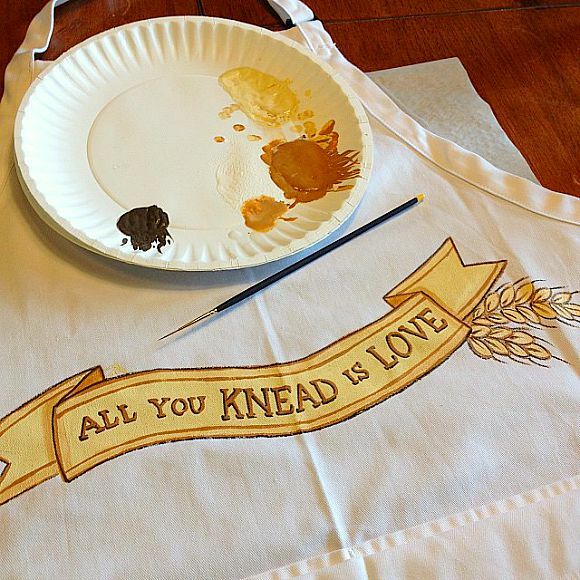 Making the saying “All you knead is love” not only true…but essential! If there is ever anything I can paint for you, from fabrics to glassware, please don’t hesitate to contact me by clicking on the little letter icon at the top of my site, or by visiting my shop on Etsy and Wazala. Custom orders are always welcome, and I will happily paint and design from any photo or description you send my way. 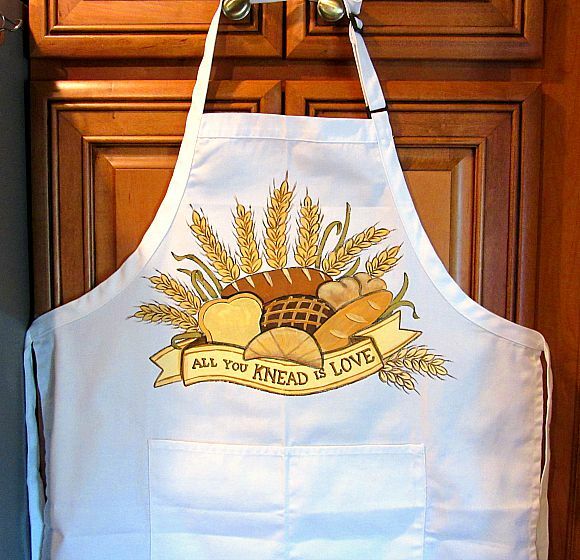 This particular apron design can be found HERE. Great video! I wouldn’t have had the patience for that. I so hope this video craze goes away. Haha. I don’t want to have to learn something else. 😉 I just want to bake! Like this bread. It looks and sounds so delicious! LOL! I totally get it, Erin. For me, the slideshow video process is easy because I always take the step-by-step photos anyway so putting together a video is really easy. The actual “movie” ones are what I want to try next, but I know they will be so much more time consuming, and I really don’t know if I have it in me. I also feel the way you do about rich pins, snapchat etc. Who’s got time for all those extras? This is exactly what I like. Just a beautiful bread and I will be making this! Thanks, Ginny. So glad you like this bread. I put the second loaf in the freezer and will be making gourmet grilled cheese sandwiches from it this week. I could never say NO to a piece of this beautiful bread! In fact, I’d like to take down that entire loaf! Sounds SO good!! Me too, Katerina. While taking the photos, I think I ate two entire pieces…with butter. I love the honey glaze on this bread! It looks incredible! The honey on top is a nice touch and helps the oatmeal topping stick. It’s the honey in the bread that really adds a nice sweetness. Not too much…just right. I love this bread – looks perfect! And I also love your new blog look! I hope you make it. I know you’ll love this bread as much as we do. This bread look like it’s perfect texture and flavor! Thanks! Thank you, Heather. Glad you like it. Thanks Ashley. We love a bread with a touch of sweetness too. This one has just the right amount. Homemade bread is the best. I agree. Also, thanks for the kind words about my painted apron. I appreciate it. This bread looks great. Homemade bread is the best! I also am lovin’ your painted aprons. Just followed you on Etsy! Wow! Thanks for the lovely words, and for following me on Etsy, Nicole! That bread would disappear in no time flat here! 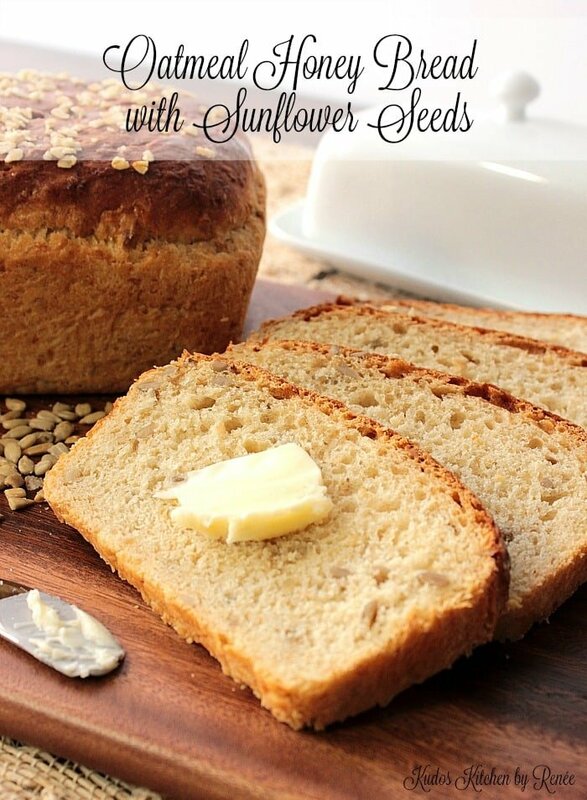 I’m not much of a baker, but I’d like to try it…I love breads with honey! I was smart and put the second loaf in the freezer right away to save for another day. Otherwise we would have blown right through it 🙂 I do hope you’ll try it, Michelle. I know you’ll have complete success with it! This bread toasted with peanut butter would be a complete winner. Either that or sunflower butter. Mmmmm. Oh my gosh, honey bread is just the best. This looks so good. I could eat the whole loaf all by my lonesome. I can almost smell it. Yum! I’d be happy to paint aprons for you, Kim. Email me whenever you’re ready. I can totally smell this bread baking just by reading the post and recipe. It’s beautiful! Love the video too! This bread turned out perfect! 1st time making this after finding on the internet. I used a local wild flower honey. I would have taken a picture but it’s gone. The local wildflower honey sounds perfect! I’m thrilled you enjoyed this recipe. It’s one of my favorites too. Thanks for letting me know, Susan! !